Get ready for Draft Day by doing some mock drafts! Over the past few years, I’ve across several of these sites and I thought I’d share them with you. Many of them you know, and no doubt, you likely already have a year-long league on a couple of these sites. But take some time and work out your Fantasy Football brain in these mocks. You’ll have a better knowledge of what to expect on Draft Day. By using multiple sites, you’ll be able to draft against several different mock drafters (or auto-drafters), which will help keep you on your toes. 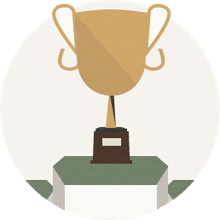 By using multiple sites, you’ll be using your rankings against several different site rankings, which are usually used for auto-picks. This will help you adjust your own rankings as you realize the wide receiver you thought you had to grab in Round 5, keeps getting drafted in Round 4 before you get a chance. These mock draft sites have been doing this for years, as have most of the community members that will be drafting with you. Although, sometimes you’ll just be drafting against artificial intelligence. You’ll know when that is on most of these sites. So pay closer attention to the real users’ picks. Get involved in the chat room, too, in order to pick other owners’ brains. Without question, this is the best mock draft site to use. You can choose the size and style of your draft. You can choose where you want to pick in the first round, and you can even point out which site your draft will take place. 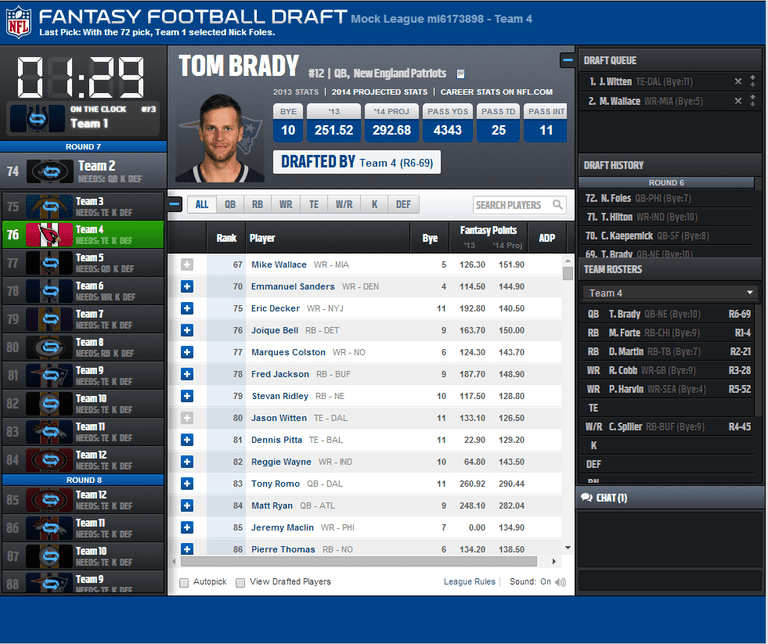 With this feature, you can load up the scoring system and league settings, and then draft accordingly. My favorite part? Load up your keeper league, with the keepers, and you can see how that draft will work out. That’s a major factor that can be difficult for some looking for mock draft help since keepers pull anywhere from 24-60 players out of the top section of a draft. I did a mock draft here last week that you might enjoy checking out here. MyFantasyLeague has been one of my favorite league services over the past decade, as they offer a no-frills site, with tons of customization options. There are new free public mock drafts starting every 10 minutes, with one-minute timers on each pick. A cool feature here is that you can go into their message boards and schedule some mock drafts with others. Without question, this is the best-looking mock draft room around. And any time you get NFL Commissioner Roger Goodell kicking your draft off with an announcement, that’s pretty darn cool. They also do mock fantasy auctions. They have ​mocks going off every two or three minutes, so get on it! This site seems to have some of the best ADP values out there, which they get from all of their mock drafts. You can choose which draft and which type of league you want to sit in on. From eight teams to 14-teams, you can do all sorts of mocks here. Plus, you can even do a Dynasty Rookie mock draft! … Awesome! You can also look up completed drafts that other people have already done. Another site I love – these guys have been around for a decade or so, and now, the fellas at RotoWire.com run it. I love their color coding for the positions in their ADP, and they do mock drafts for Fantasy Baseball, Fantasy Football, Fantasy Basketball, Fantasy Hockey and Fantasy NASCAR. I was a Fantasy writer at CBSSports.com for five years and I have always thought they had the best draft rooms, dating all the way back to 1998 when they bought Commissioner.com. Of course, they’re free, and you’ll also be able to take part in some mock auction drafts. One of the other really cool features they have is that they’ll keep track of all of your past mock drafts. ESPN also has the ability to do mock auctions, and they have drafts starting ever five minutes. So you can jump in at any time to mock one up. They obviously have some of the best-looking pages of all the sites, and their mock drafts are as good as their regular drafts. This is a tight-knit community and they love to do some mock drafts. Again, this is a no-frills website and you won’t be inundated with an overly fancy user interface. It’s tight, it’s clean. Basically, you run a Java applet in your browser, and you draft inside that. Did you try out a few Fantasy Football mock drafts? Let us know how they turned out. Tweet me @DavidGonos and tell me which site was your favorite!